For marinade, whisk together honey, olive oil, ginger, orange or wild orange and lime oil and Bragg’s Liquid Aminos. 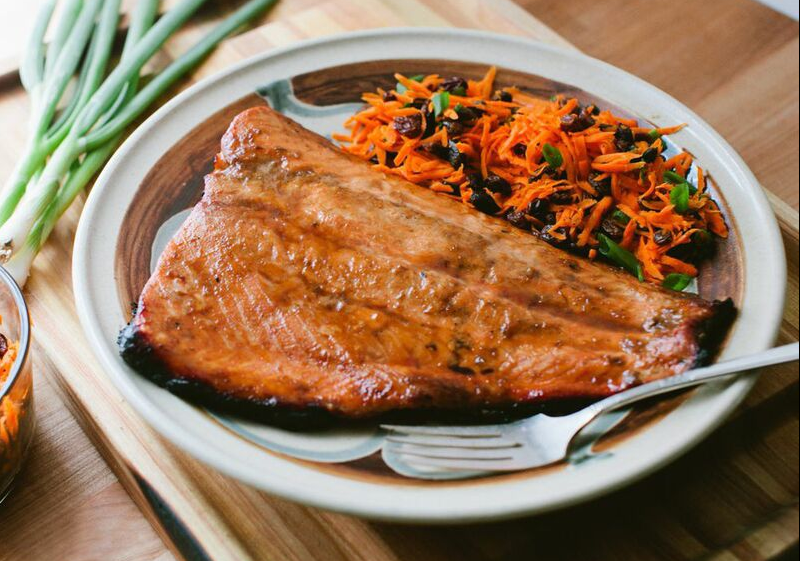 Arrange salmon fillets in a glass baking dish and pour marinade over fish. Cover and let marinate in refrigerator for 30 minutes. Transfer salmon to a platter. Reserve marinade. Place the salmon, skin side down, on grill. Transfer fish to a platter and serve immediately.